DCC Webmap – GREAT DISTANCE except by computer or Segway…. 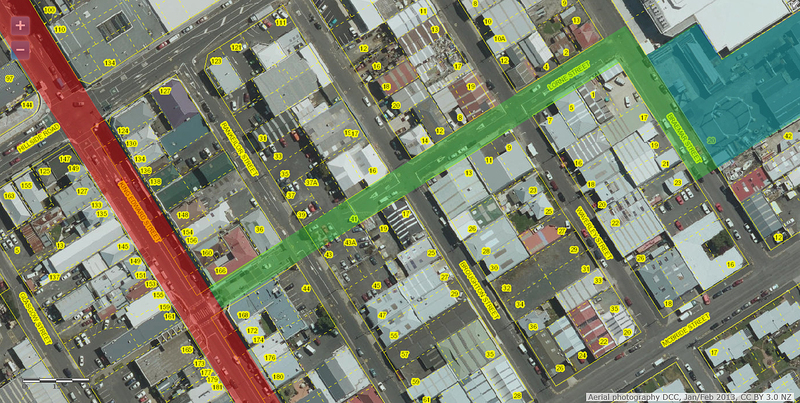 South Dunedin | from King Edward St (red) to Gasworks Museum (blue) via Lorne and Braemar Sts (green) – colour overlays by whatifdunedin. █ DCC doesn’t need Athfield Architects to justify the LONG DURATION need and solution. 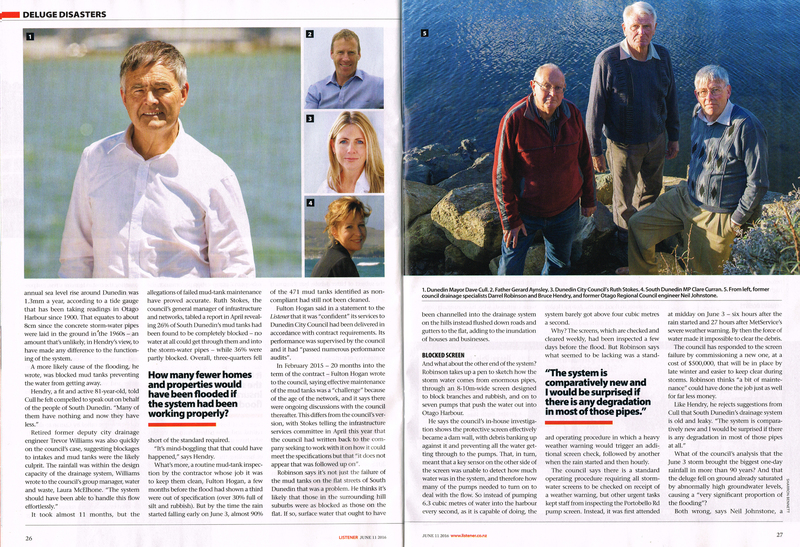 No disrespect to colleague, the late Ian Athfield —or the current firm (love them heaps). 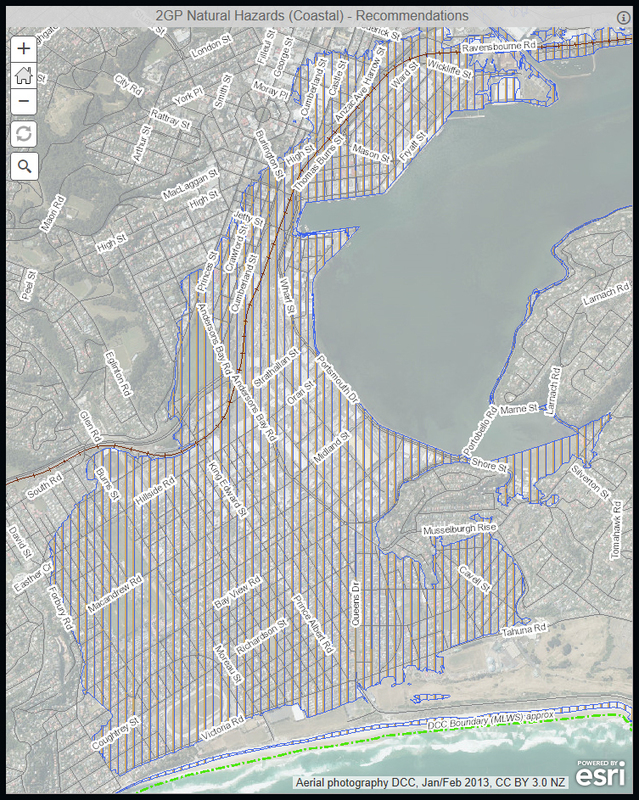 Give South Dunedin a community facility as was Promised YEARS AGO. Leave the goodie-two-shoes Gasworks Museum lobbyists out of it, or very much to the side. They mean well, but for too long they’ve been praying on the feckless DCC, soaking up Ratepayer dollars with little justification, and they keep wanting more. 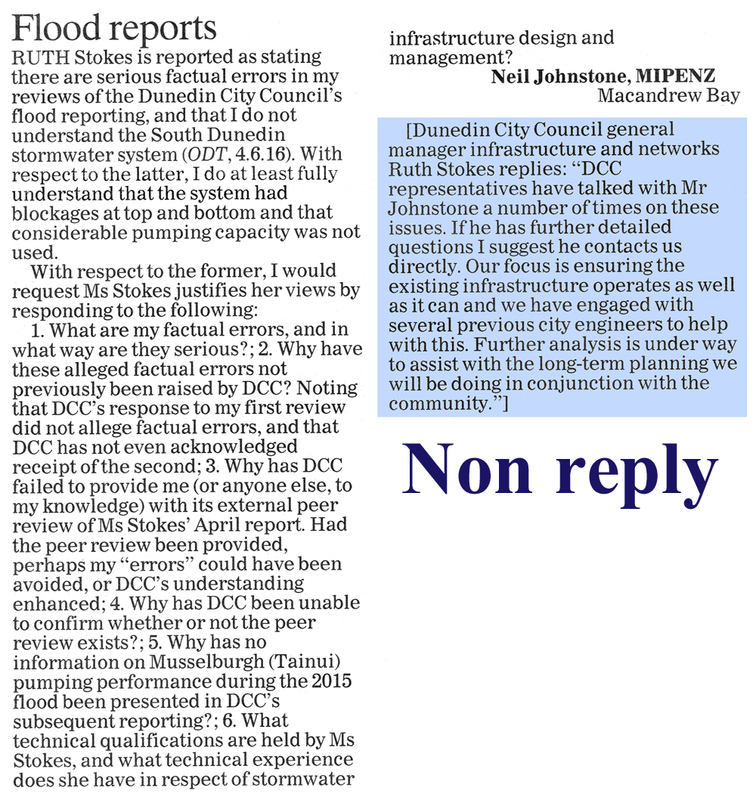 How many people is this “out of control” Dunedin City Council wanting to Massage – BEFORE the October Local Body Elections. The CULL Stench around this is SO DISGUSTING. 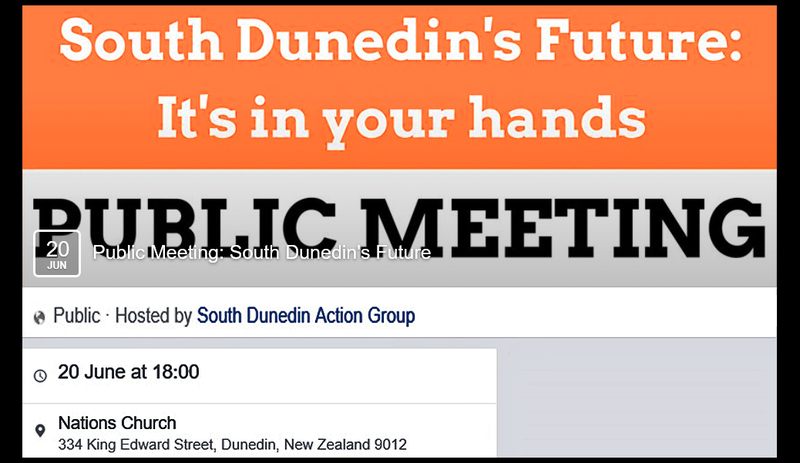 A series of drop-in information sessions hosted by the Dunedin City Council and Otago Regional Council early next month are the start of a community conversation around South Dunedin’s future. The sessions will be at the Dunedin Gasworks Museum on Thursday, 1 September and Friday, 2 September. DCC chief executive Sue Bidrose will be presenting information about what happened in the 2015 flood, how the current stormwater system works, and how the DCC plans to invest and work with the community in the future. 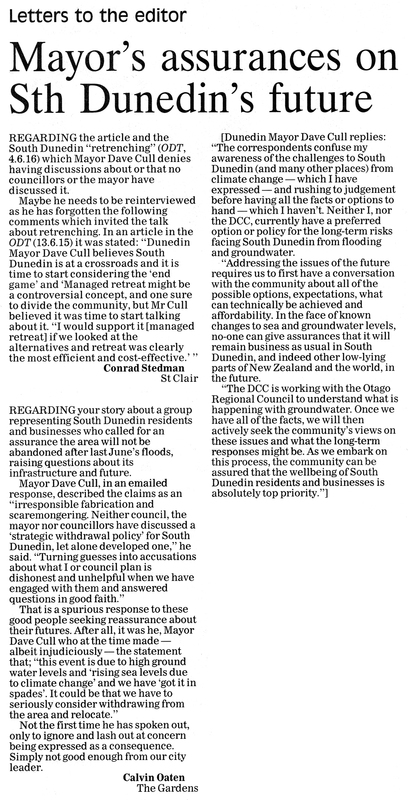 Ms Bidrose said that it was important to plan carefully for South Dunedin’s changing environment. It was also important to take the time to involve the community in the decision making along the way, rather than to just do things on their behalf. Presentations, with accompanying video, will be at each session and people will have an opportunity to talk individually to staff from both councils. The hour-long sessions will be repeated several times, with Thursday sessions starting at 10am, 11.30am, 1pm, 4.30pm and 7pm. The Friday sessions will start at 10am, 11.30am, and 1pm. Ongoing engagement planned for the next few weeks also includes briefings for support service agencies and other specific interest groups such as the South Dunedin Business Association, the Otago Chamber of Commerce, and school and early childhood centres. Contact Sue Bidrose, chief executive DCC on 03 477 4000. The feedback period runs from Saturday, 20 August until 4pm on Monday, 29 August. The Dunedin City Council is calling for feedback from residents on its preferred option for a library and community hub in South Dunedin before a report is presented to councillors next month. Council services and development general manager Simon Pickford and architect Jon Rennie, of Athfield Architects, presented the council’s preferred option to about 50 people at the Dunedin Gasworks Museum on Saturday morning. Under the $5.25 million proposal, a library would be built in the former BNZ building in King Edward St and the facility linked to the Gasworks Museum through Lorne St. Some facilities, such as a café, would be based at the museum. Mr Pickford said residents had until August 29 to provide feedback to the council on the proposal. █ For more, enter the terms *south dunedin*, *flood*, *hazard*, *vandervis* (sane) and *cull* (VOTE Cull OUT) in the search box at right.